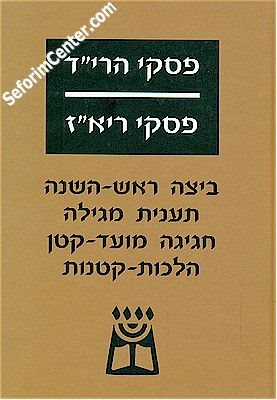 The rulings of Rabbi Yeshaaya of Trani - HaZaken (13th Cent. Italy) and Rabbi Yeshaaya of Trani - HaAcharon (14th Century Italy) relating to Masechtot Beitzah, Rosh HaShanah, Taanit, Megillah, Chagigah, Moed Katan and Hachot Ketanot. Issued from hitherto unpublished manuscripts, with introductions annotations and indices.